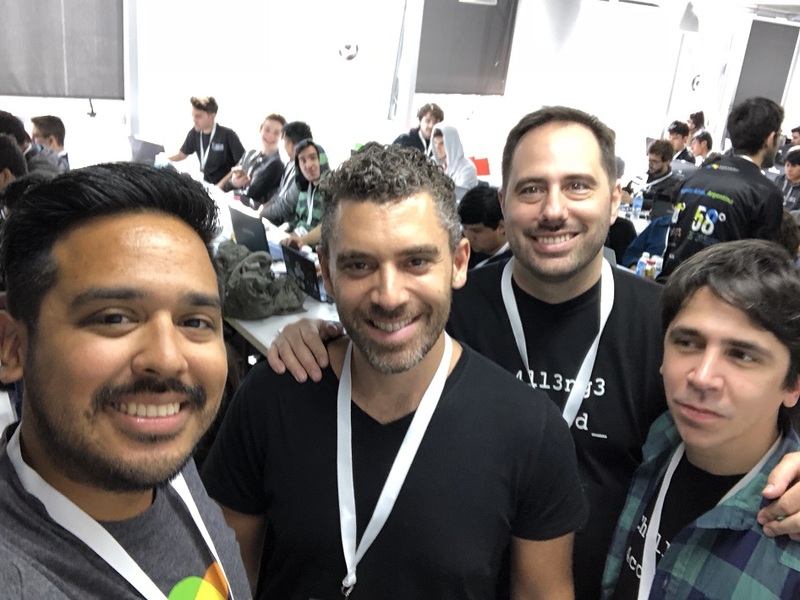 August 4, 2018 went down in TCO Regionals history as it has finally made its first appearance in South America and more specifically Buenos Aires, Argentina. The morning of the event as I was walking over to Medallia’s headquarters, where the competition was being held, I could feel a buzz in the air. Arriving to the location an hour before and helping setup even our sponsors and volunteers knew that this was going to be something special. Like clockwork, at 9AM as soon as the doors opened, there was a line that had already formed. 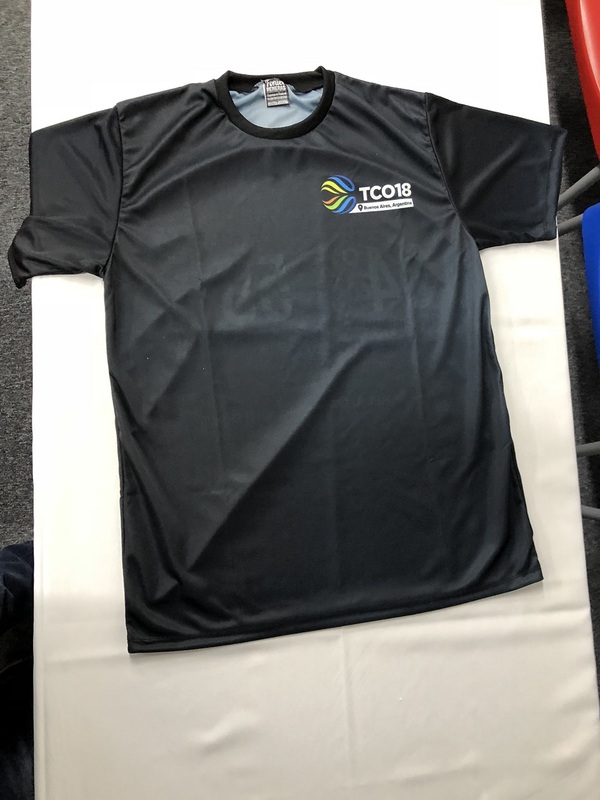 We had one of our organizers, Agustin, who was handling the registrations by checking everyone in and handing out TCO18 buttons and free t-shirts to all attendees, a TCO tradition. Before the opening ceremony began, I wanted to go around and meet some of the amazing minds that were in attendance and come to find out, one of the finalists of this year’s TCO in Algorithm was there, mjhun! Perhaps he was there to check out his potential competition as the top 10 of this SRM moves on to the wildcard round, where the top 2 will join the other 14 in the finals in Dallas. 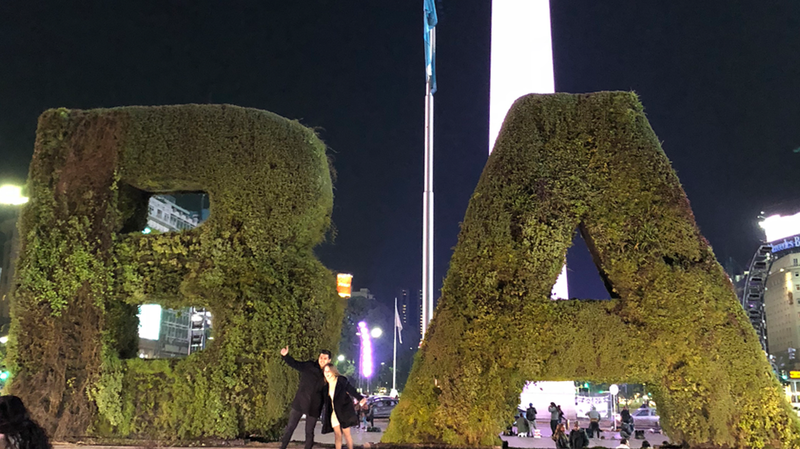 After making my rounds, it was time for the opening ceremony, which you can watch in full here. In my speech I thanked our wonderful sponsors, Medallia and IT Crowd, informed the crowd of the speakers they were going to hear from, and even had a moment of silence in memory of ltaravilse. 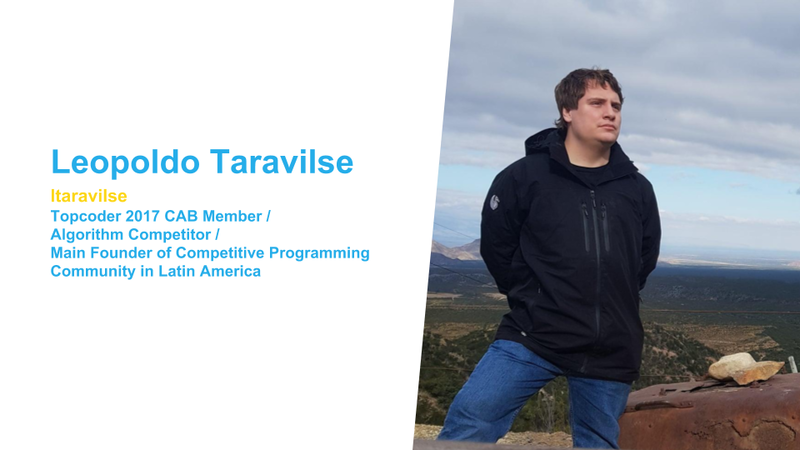 Leo Taravilse was one of the most influential members of Topcoder when it came to Algorithm competitions. 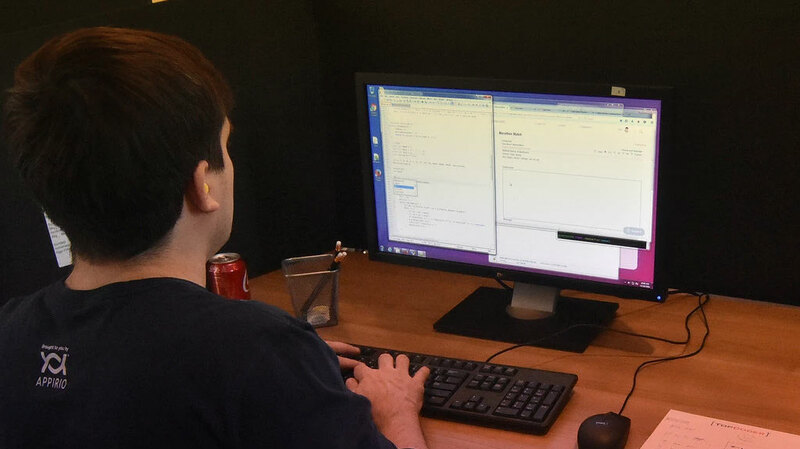 If his name sounds familiar, it may be because you recognize him as a CAB Member in 2017 where he helped shape and bring items to the admin’s attention in regards to the Algorithm track. 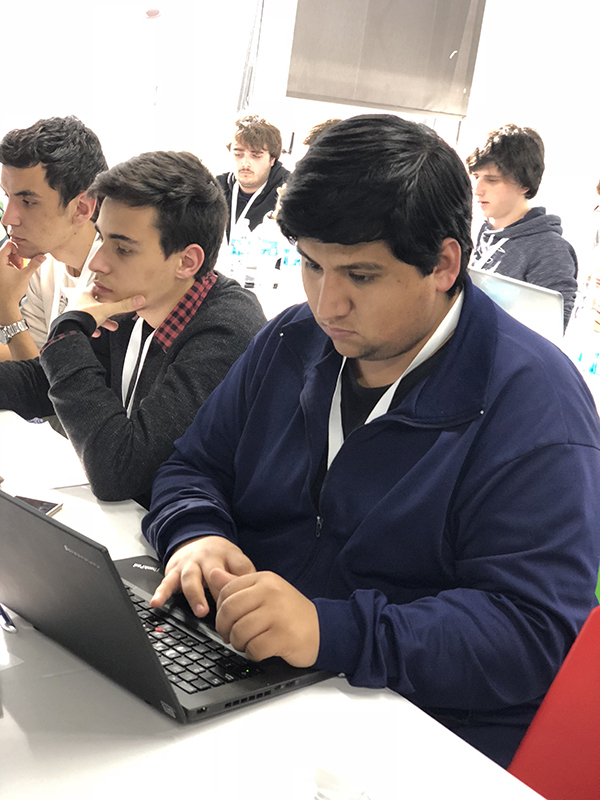 Leo had a mission to put Argentina and even more broadly South America on the map as a premier force when it came to algorithm competitions. 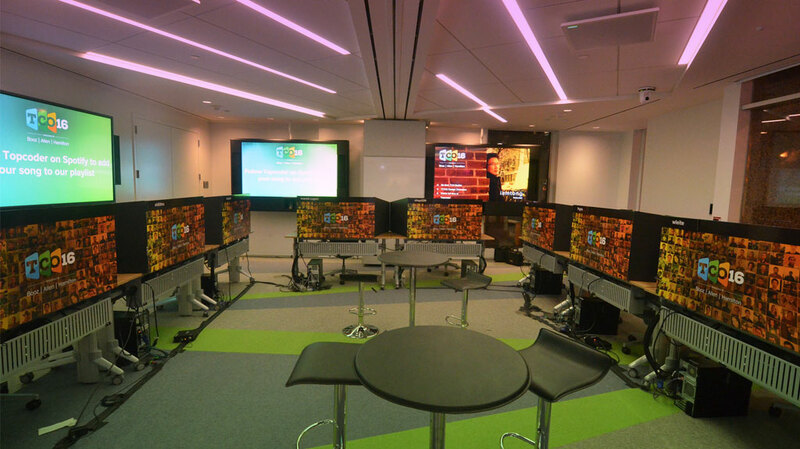 He would hold workshops and help students train for the ACM ICPC global tournament. 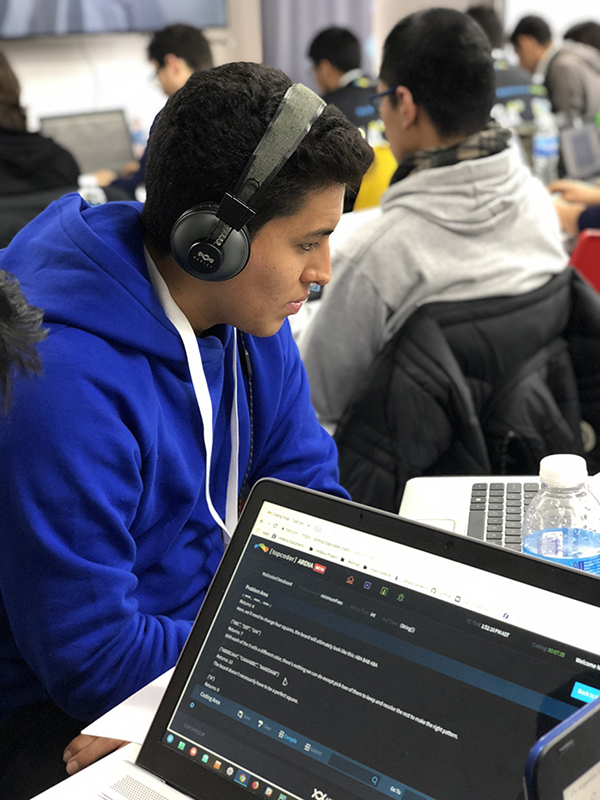 Because of his dedication to the success of his country and continent, Topcoder wanted to donate the monetary rewards of the event to his family and even though appreciated they said that they would rather the money go to the competitors as that is what Leo would have wanted. 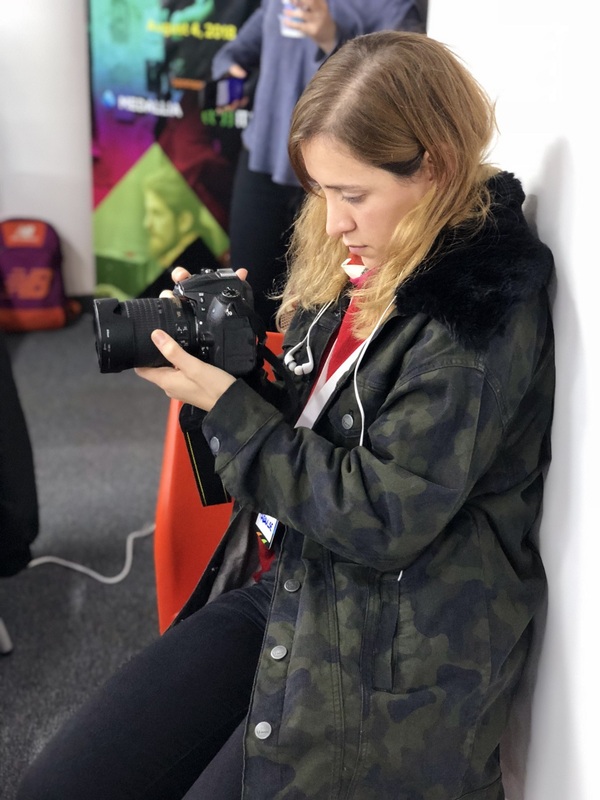 We were lucky enough to have Leo’s sister, Lucrecia Taravilse, with us for the event and she even offered to take pictures with her DSLR. We were very fortunate to have Lucrecia there carrying on her brother’s memory. As the day progressed we had several talks by our sponsors and even one of our own members! First up we had the guys from IT Crowd, Pablo and Gabriel, talk about their company and how our members could get involved if they were interested. It was a little difficult to follow on my part as my Spanish skills are not where I’d like them to be, but the crowd definitely seemed attentive. 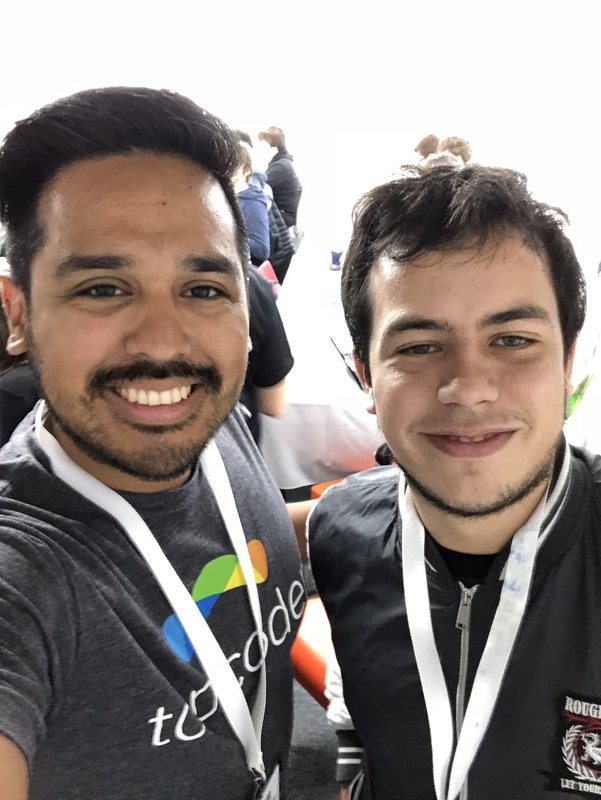 Turns out that Pablo was actually a TCO Finalist back in 2009 and even worked at Topcoder for a bit before going off and starting his own company! Following IT Crowd’s talk we had Denise Levy from Medallia come up and give a 10 minute talk welcoming everyone to the event and talking about what Medallia does and if they were interested in any positions to go and speak with her or one of her other colleagues. Not only was Medallia a sponsor, but they were the ones that hosted this event as well! 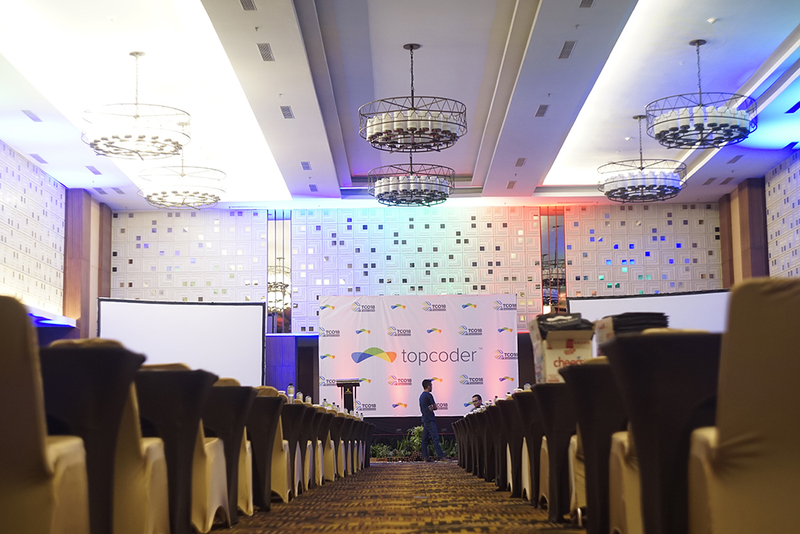 Last but not least, we had one of our very own members, chekspir, come up and give a talk about his Topcoder journey and everything one would need to know about participating in the Design track on Topcoder. 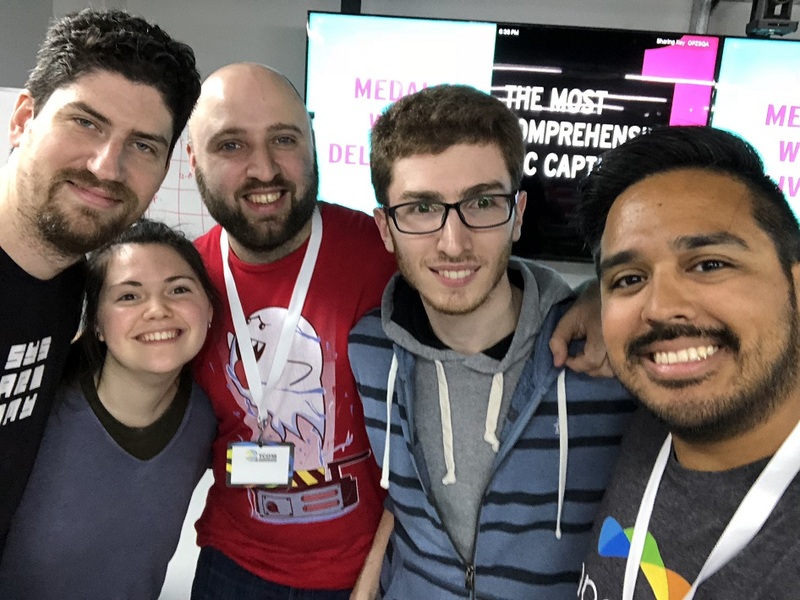 Although this crowd consisted of primarily competitive coders, by the end of his speech there were questions from around the room and some even after his speech! 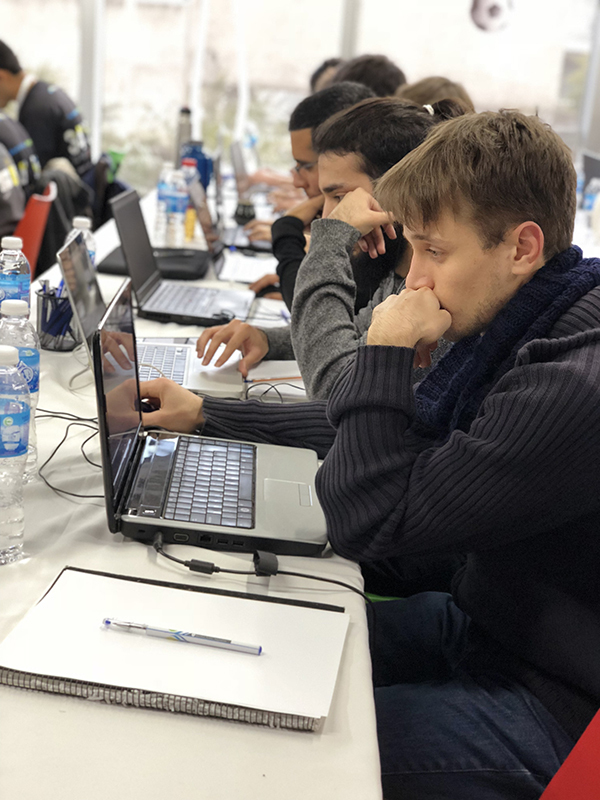 Chekspir now lives in Chile and paid for his own transportation and hotel for this event because he did not want to miss the first TCO Regional on his continent! Following Chekspir’s presentation, the members received a lunch break and were given a chance to wind down before the day’s main event. Being that we were in Argentina, lunch consisted of various types of Empanadas, which were thoroughly enjoyed by all. Check out the update from the lunch hall here! At this point in the day, it was time for the main event! For one and a half hours these members, about half new and half more experienced, competed for the final 10 spots in the WIldcard Round. After the competition had finished, everyone was clapping in the end knowing that they had competed to the best of their ability and had fun doing it! At this point, all of the competitors were provided some snacks as they had worked up an appetite, were provided board games, and yes even busted out with a bass and a guitar and started jamming! If you would like to see Chekspir and myself going around and interviewing members at this time (half english and half spanish) you can check that out here! 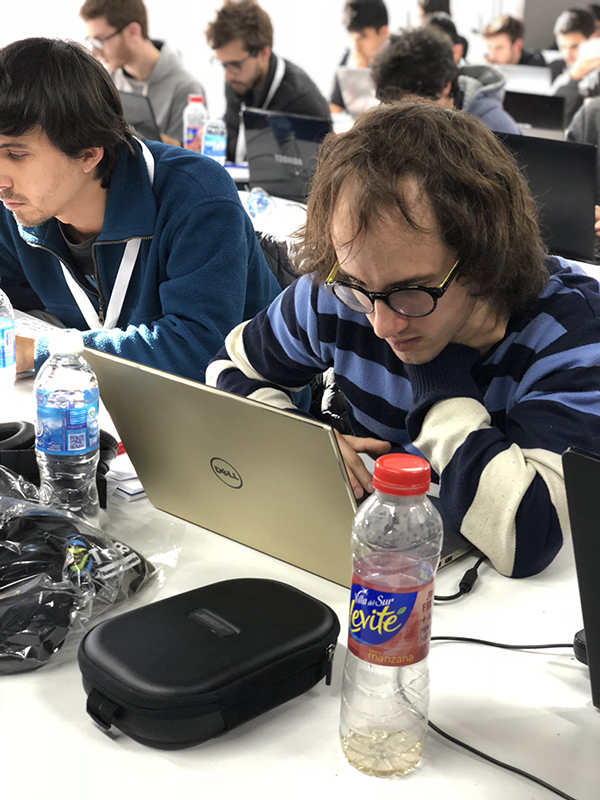 As the results were beginning to come in, we had 30 minutes where Agustin had given a lesson on how to tackle each of the three problems that the competitors faced that day. The members loved this as there were a lot of “ooh’s and ahhh’s”. As always, all good things must come to an end as did this wonderful event. We ended the evening with the closing ceremonies, where we revealed all the winners of the event. 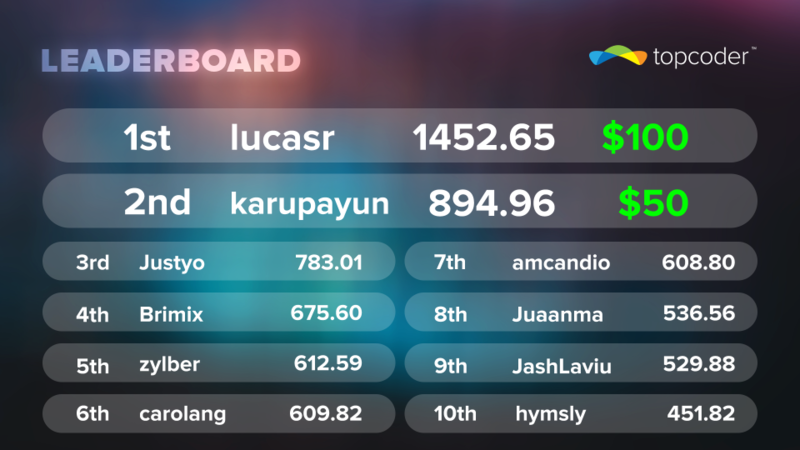 Below you will find the winners of the TCO18 Regional Marathon match (These winners were the top 3 of the competition that were physically present) as well as the Top 10 winners that will be moving on to the Wildcard Round. 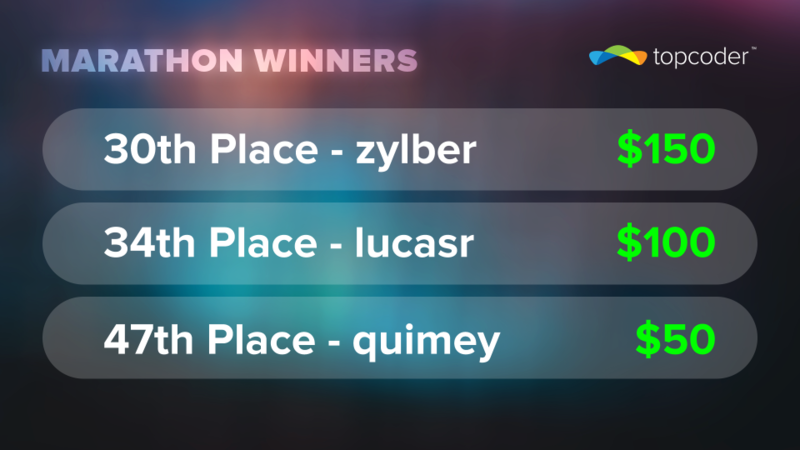 It should be noted that we did have a member who placed in 9th during that competition, but due to his age he is unable to advance to the Wildcard Round. We do look forward to seeing, 14carlosoto, in next year’s competition! 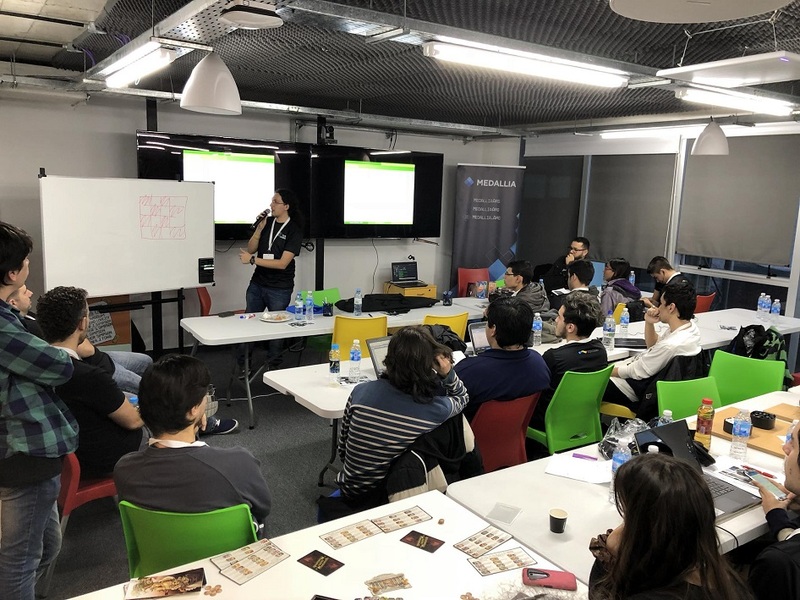 And finally the Topcoder Community of Argentina! This event would have been nothing without your attendance and energy. Gracias a todos and hope to see you next year!